Scheduling is a delicate balance. 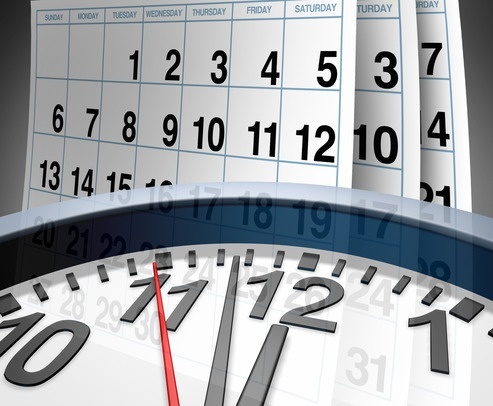 A good schedule keeps employees busy but not swamped. It creates a job for everyone without anyone taking more than their share. Reaching that perfect balance can be difficult without years of experience or extensive support. Use these tips to create a balanced staff schedule whether you've been a manager for two months or two decades. Before you even begin creating a more comprehensive and inclusive schedule, start with a pen and paper. To truly make the best schedule for your employees, you need to know their skills, their availability, and their training. Write down when employees are available, whether they are part-time or full-time, and in which departments they can provide coverage. While making a schedule, you want to be sure you not only schedule the right people in each department, but that all cross-trained employees receive adequate time in each department to maintain their proficiency. The best start to a better staff schedule is to take a full account of each employee's skills and availability. Time off is an inevitability, but a surprising number of managers do not take this into account. Instead, holidays and summers turn into a free-for-all with some employees getting prime time off and others becoming bitter because time has been requested before they have a chance to act. Every business and department should have a fully comprehensive method of granting time off. Talk to employees about what would work best in your own business. Some companies benefit by allowing employees to work attendance out amongst themselves while others create a system based on seniority to allow the older employees to request time off first. Find a method that works for your business and commit it to paper to reduce workplace disputes and create a better schedule. Many places still rely on spreadsheets for scheduling and while this solution is low cost, it isn't accessible. When schedules are constantly altered, many employees end up not truly knowing when their shift starts or where they are supposed to provide coverage. Accessibility is key for businesses who want to schedule employees more effectively. A time and attendance system is the perfect way to integrate high tech solutions with better scheduling because it allows both employees and managers minute-by-minute updates and better communication when planning and needing time off. Instead of going to a manager who changes a spreadsheet and prints it out, distributing it to only a fraction of the employees' affected by the change, a time and attendance system allows employees to request time off and managers to approve it, all online and visible by other employees. Increasing the accessibility to your schedule can help employees plan their time off more efficiently and ensure coverage when changing a schedule. Few employees are living a static life. Many have families, pets, friends, and responsibilities that are all scheduled around their workday and when their workday is unpredictable, it negatively effects their lives. Managers want to create schedules that not only cover the work but also work for their employees and the best way to attain that is to plan ahead. Creating a schedule the week before or only a few days before is disruptive and difficult for employees. It also hurts managers who may work overtime to cover unexpected time off. The best way to create a great schedule is to create a static schedule that works for both managers and employees and adjust it as needed for time off.